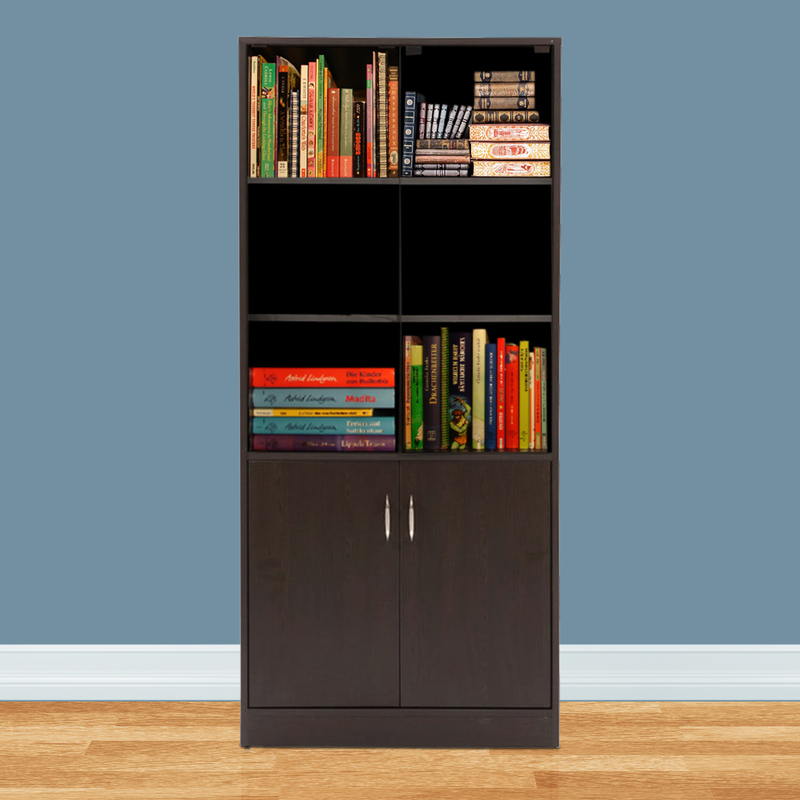 It is hard not to be impressed by a Nile book case; the sleek design, the multiple drawers and shelves, and the chic mahogany finish lends a touch of sophistication. Store all your books, files and other stationeries inside the suave-looking book case. Made with compressed wood, the product portrays a fine light walnut colour which gives a vintage charm to the book case. Evok.in provide you with a wide range Latest wooden bookshelves online. Storage style at its finest, the Nile Engineerwood Book case was built to provide you with the ability to tuck away all your favourite reads into an impressive accent piece. Constructed from sleek, high quality compressed wood, you’ll find that the multiple shelves provide you with sufficient space to organize your books, magazines and comics. In addition, you’ll also find a spacious set of drawers at the bottom for extra space and storage. Finished in natural tones of brown, this book case features silver metal handles for an extra touch of style. You can choose to buy this piece from our online furniture site, or visit any of our 25 furniture stores across India for the best deals in home furniture.